I weaned my 9 months old son recently and it was a lot more difficult than I imagined. Even as a third time mom, I had no recollection of weaning to be such an emotional and vulnerable journey. While I was researching for more information and stories, I found that there’s still a lack of dialogue surrounding this topic and that many mothers are left in the dark. For this post, I want to discuss “Things To Remember While Weaning Your Baby” based on my personal experiences. Instead of a generic “How To” post, I want to provide honest recollection and emotional support for mothers who are going through the weaning process. My goal is to be as transparent as possible so other moms can feel better equipped to deal with this emotional journey that’s rarely discussed. Unfortunately, there’s no easy way to wean your baby. Whether you’ve been breastfeeding for a few weeks or few years, weaning can be long and difficult for both the baby and the mom in so many ways. What follows are my tips about ten things remember while weaning your baby. Weaning takes time, weeks or even months. I began to prepare mentally around 6-7 months because my body was getting tired and I knew I couldn’t continue for a year like I had hoped. Breastfeeding a third child in my 30’s was a lot more taxing on my body than breastfeeding my first child in the 20’s, and I decided to listen to my body. I began to gradually drop feedings at about 7 months which happened naturally as he began eating solids. I replaced an afternoon feeding with solids, then replaced another one and so on. Eventually my son was only feeding 3-4 times a day, mainly in middle of the night and early in the morning. Tip: Drop afternoon feedings first, before dropping morning and night time feedings. No one told me this when I was weaning my second child and to this day, there is little research around the connection between postpartum depression and weaning. But I know from firsthand experience that weaning can induce depression and/or anxiety . This makes sense because of the hormonal changes our bodies are facing. Scientifically, the prolactin and oxytocin levels are dropping and estrogen level is on the rise, which can change a woman’s moods and body. One popular blogger discussed her experience here and you can find a Huffington Post article here. Then there’s this study about the relationship between failed lactation and perinatal depression. Tell your husband and family that you may be feeling more sensitive than usual while you’re weaning. Ask for their understanding and support. I did this while weaning my son and it helped a lot because my family understood why I was weepier and more irritable than usual. I told my husband that I may be a little off or under the weather, that I will need his support and understanding. I told my kids that mommy’s body is going through hormonal changes while her milk stops, that I need some time for the transition. While this may not always work with younger children, an open dialogue with your family can go a long way. Children are more understanding and kind than we think. As long as we take the time to explain things to them so that they understand, they will listen and cooperate. I wish I took more breastfeeding photos. I thought I took some, but they certainly weren’t enough. Take lots of photos and imprint them in your memory box forever. Don’t just take selfies, ask your partner to take photos of you and the baby. Take them even if you’re wearing pajamas and don’t feel all that attractive. Remember how beautiful and special that moment is. No matter how your breastfeeding journey looks like, you will cherish those memories forever. My first daughter never took the bottle and had trouble with solids which meant my breastmilk alone sustained her for well over a year. I enjoyed breastfeeding but it went on longer than I wanted and I was so tired by the end of our breastfeeding journey. Luckily she weaned herself when I became pregnant with my second baby but weaning her was not easy. On the contrary, my second baby preferred the bottle (probably because I gave it to her early on) and wasn’t as attached to my breasts. Remember that every baby is different and some babies wean more easily than others. For some, it takes days and for some it takes weeks or even months. If you are weaning when your baby is older, expect some tears and resistance. Understand that it’s not easy to break the breastfeeding bond. While it’s certainly possible to wean without help, it will be much easier if you ask for help. Ask your husband or a family member to feed your baby with the bottle. This can be formula or breastmilk. Breastfed babies don’t always take the bottle so experiment with different bottles. If baby doesn’t take the bottle, try again at the next feeding. Try again the next day. Stay patient and keep trying. Babies can be stubborn but they are also malleable. They will eventually adjust. There will be A LOT of guilt and doubt during the weaning process. Whether you’re weaning to return to work or for other personal reasons, whether you think you’re ready or not, there will be a lot of guilt and doubt. Hormones are to blame to a certain degree, but I believe it’s just the way Mother Nature made a mother’s body. 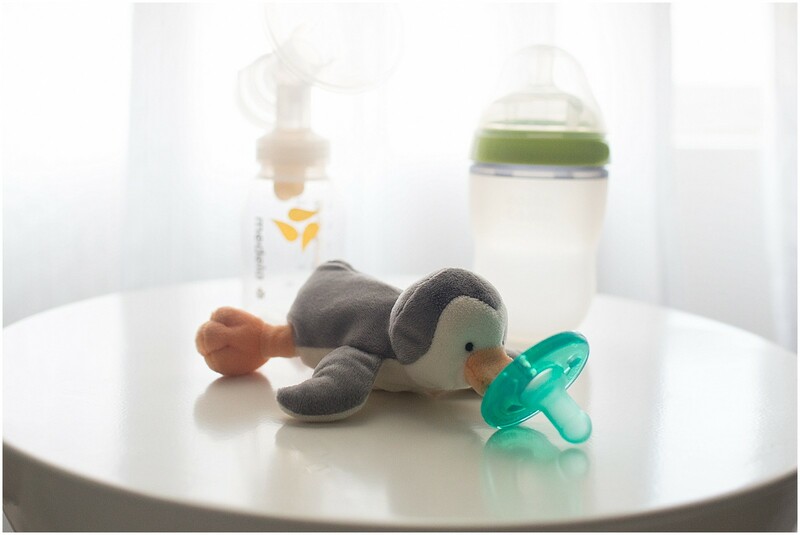 You will feel guilty that you’re taking away something that soothes and comforts your baby. You will feel doubtful about your decision. You will second guess yourself over and over again. You will look at other breastfeeding mothers and feel a tinge of sadness. Your heart will ache to do it again. Or you may feel guilt that you are relieved to stop. Please know that these feelings are normal and natural as our bodies adjust to the next chapter. Acknowledge your emotions, talk to a friend, ride it out. It will get better. This sounds cliché but it’s repeated by many because it’s true. FIND YOUR TRIBE. Talk to family or friends who understand what you’re going through, or who has been through it before. Call them whenever you feel the guilt, the doubt or sadness creep in. Talk about your emotions and set them free. During the first week I was so anxious and guilty about my decision to wean. Every time I felt this, I texted or called my girlfriends who reassured me I’m doing the right thing for my body as well as for my baby. They knew why I was weaning and understood this was the right time for me. They continued to remind me to let the hormones pass and worries subside. They reassured me that I was doing the right thing, that they experienced these feelings too. Find your tribe and keep talking things through. Don’t bottle them inside as this can make the situation worse. Breastfeeding is a highly personal choice. Therefore, every woman has different experiences and viewpoints when it comes to breastfeeding. You will get a lot of contradictory comments and suggestions by many. You will hear a lot of stories too. Use these stories to add value to your knowledge, but don’t drown in them. Trust your decision and intuition. You’re the mother. You know what’s best for your baby and your body. I felt a deep sense of loss when I stopped breastfeeding. It also didn’t help that my breasts were engorged and my body was just asking to breastfeed my baby. It takes a lot of mental strength and determination to not give in to our body’s primal desire and refuse our baby of what they want. No matter what your body or mind is telling you at this time, know that this is not the end but only the beginning of a lifelong bond with your baby. You may be feeling strong emotions about the weaning process but know this is simply your body taking its natural course. Honor your emotions and body. If negative thoughts creep in, talk to a trusted friend or write in your journal. Get out of the house and meet people. Do something to take your mind off of breastfeeding because that’s all that you’re going to be thinking about right now. This is entirely normal and it passes. It’s been about 3 week since I weaned my son and as much as I miss breastfeeding him, I’m glad I weaned. He eats well, sleeps longer stretches (his nap time went from 45 minutes to 2 hours) and is experimenting with different foods. I’m now enjoying making him baby food and bottle feeding him. My body is feeling so much better too and I can now function on less sleep without feeling like a zombie every morning. I’m now eating for myself and he is thriving without my breastmilk. My work is much more productive too because I can now count on others to feed and soothe him to sleep. Since weaning, my husband has bonded with my son on a deeper level. He is now responsible for his nighttime feedings and loves being able to nourish him the way I was able to for the past 8 months. Once I let go of the control of me being the only one to feed him (this was very hard to let go of), other caretakers stepped in. I remember feeling sad that he won’t need me as much anymore because breastfeeding was so special for both of us. Today my equilibrium has returned, and I now know there is no way I can be replaced in his life. After all, I am his mother and we will always share a special bond with or without breastfeeding. Did you struggle through the weaning process? In what ways? Please share your story below! This is SO good, Angela! And so spot on. I feel like I was unprepared for how I would feel when we weaned and I definitely weepy and depressed. I also didn’t take like ANY breastfeeding photos and that kinda makes me sad. Oh well. The guilt I felt when I had to stop breastfeeding was almost unsurmountable. There were some medical circumstances that contributed to the need to stop but still felt a huge amount of guilt. Thank you for sharing these gentle reminders.